Beirut, January 28, 2019--The Committee to Protect Journalists today condemned the closure by Kurdish security forces of the Iraqi independent broadcaster NRT's office in Dohuk, Iraqi Kurdistan, and urged the Kurdish regional government to immediately allow NRT to resume its work. 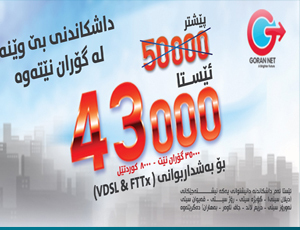 On January 26, security forces known as Asayish, which are aligned with the ruling Kurdistan Democratic Party, detained NRT television journalists, cameramen, and drivers and confiscated their broadcasting equipment, and on the following day barred entry to NRT's offices, according to the broadcaster's national newsroom manager Soran Rashid, footage taken by an NRT cameraman, local press freedom group Metro Center for Journalists' Rights and Advocacy, and the local human rights group 17 Shubat for Human Rights. "Shutting down a broadcaster and detaining TV crews for delivering the news clearly contradicts the authorities' claim that Iraqi Kurdistan is a regional hub for democracy and press freedom," said CPJ Middle East and North Africa Program Coordinator Sherif Mansour from Washington, D.C. "We call on the Kurdish regional authorities to allow NRT to resume its work in Duhok, return the confiscated equipment, and allow journalists to do their job freely." Rashid told CPJ that reporters Taif Goran and Bewar Hilmi (who is also the director of NRT's office in Dohuk), cameraman Omar Hamid, and driver Abdulbari Abdulhakim were arrested in Duhok on January 26, and reporters Bryar Neroi and Nihad Oramali and cameraman Adil Sabri were arrested on the same day in Silazdeh, a village to the northeast. "Asayish forces held them for nearly five hours and then released them. They also seized their equipment, including their cameras and cell phones. They haven't yet returned the equipment," Rashid said. On January 27, Asayish forces raided the NRT office in Dohuk, ordered all the employees to leave, and barred them from returning, according to NRT, Metro Center, and 17 Shubat for Human Rights. "The Asayish officers stormed into the office and told the NRT employees that they could no longer work there and had to go home, but they didn't tell them the reason for the closure of the office," Rashid told CPJ. "This isn't the first time that something like this has happened. We have come to expect this reaction from KDP [Kurdistan Democratic Party] and PUK [Patriotic Union of Kurdistan] Asayish forces." "They prevent us from covering and analyzing events they want to cover up to control the flow of information," he added. 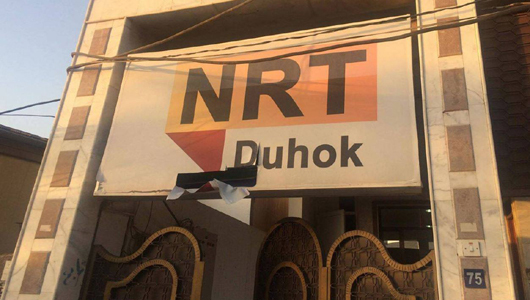 NRT reported on its website that Asayish forces allowed the staff to reopen the Duhok office for a few hours this morning, but employees were later told to leave the premises. The detentions and office raid came as a response to NRT's January 26 coverage of a protest at a Turkish military facility in Silazdeh and of the arrival of injured protesters at the Dohuk Emergency Hospital, according to the broadcaster. At least two civilians were killed by a Turkish airstrike in Duhok governorate on January 24, according to news reports. The casualties sparked a protest at the facility in Silazdeh on January 26, which resulted in one protester being killed and several being injured, news reports said. The prime minister of the Kurdish regional government, Nechirvan Barzani, told NRT on January 27 that the government would deal severely with television channels that interfered with security issues in the region. The Kurdish regional government's Media and Information Department did not immediately reply to CPJ's emailed request for comment. In 2017, a group of assailants attacked the NRT office in Duhok and ripped down the station's rooftop sign while security officers stood at the site without intervening, CPJ reported at the time.